The Leopard 2 Main Battle Tank was kindly temporarily loaned to The Tank Museum by the Historic Collection of the Royal Netherlands Army. 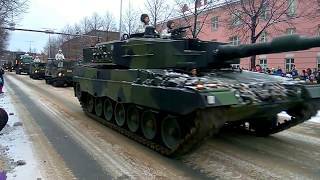 At 8:55 Leopard 2 from The Arsenalen Museum, Sweden. 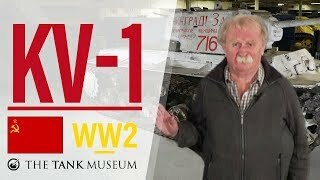 SUBSCRIBE to The Tank Museum YouTube channel: ► http://www.youtube.com/channel/UChl-XKVVBAzoEVsnbOfpcqw? 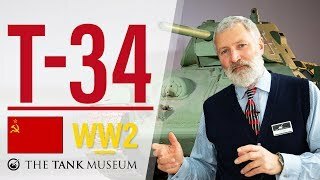 Press the little bell above to enable NOTIFICATIONS so you don’t miss the latest Tank Museum videos. 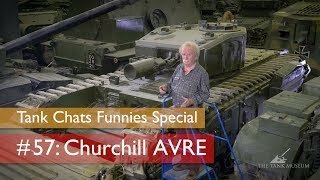 All these modern tanks have tried to be something they are not and in so doing are flawed, with the exception of the Challenger 2 and merkava 4 ? The latest line in this thinking is the t14 armata ! 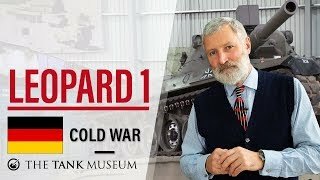 Never liked the Leopard 2 or the Abrams m1a2, both were heavely flawed in key areas of tank design, hoping to make good by increasing leathality based on new doctrine. No surprise as to the poor showing of both in major conflicts. Kinda strange as to how many main battle tanks are now owned by the major powers ? The move towards light armour and high speed continues ! “We were the biggest stick in the valley...” 😂 Luv this chap. I remember tank crews in 1995 talkin g about overtaking trucks on the autobahn after they'd messed with the speed governors on their Leo2's. Fun piece of equipment. I respect what this man says because of his beard. 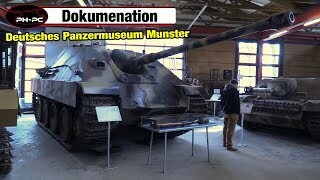 @The Tank Museum so you have an Kanonenjagdpanzer 4-5 ? If so, it would be great to have a chat about it. 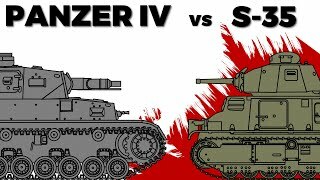 Now I understand what a tanker meant to me when he said "The M-1 is not an American tank and the Leopard 2 is not a German tank". That made me confused for years. Now I get it. They're both children of the combined effort MBT-70. well, should be noted the L2s lost in syria were all outdated L2 A4 configurations from the late 80s/early 90s when it comes to protection. To my knowledge turkey dismissed upgrading them with cages, additional plates, skirts etc. in favor of building/buying the altay MBT ... so in addition to using them poorly on a tactical level, they also went without the lessons learned and adaptations made on all the Nato tanks in Iraq or Afghanistan. They didnt even bothered to make some improvised alterations like cages, as we saw popping up in syrias civil war on russian models. ... I would be pretty pissed as a soldier knowing the multiple packages (most especially addressing the AT missile threat and urban warfare issues) available for years before and not getting them for my tank in a war everyone saw coming for a long time. But this tells you a lot about the turkish state and military when it comes to their own people. The A4 came a long way, those A4 configurations with addon armor Singapore and Indonesia bought look able to handle at least a considerable portion of the threats turkey faced. The germans may not have had their Leopards in Kosvo, but the danes did! And had massive success with them. At 1:16. whats that glass box ? 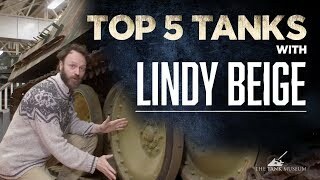 Excellent briefing on this tank. You stated exactly what I was thinking of the Turkish deployment of this amazing vehicle. I also pondered the idea that they just wanted the most advanced version for the lowest cost by attempting to blackmail the German government. Anyway, it's a gorgeous piece of German engineering. I first saw this vehicle in a convoy of the A4 version waiting for us to finish at the wash rack in Grafenwoehr, Germany in 1992. I was absolutely stunned. It is (to this day) one of the most beautiful objects I had ever seen. I said "That tank looks like it's better than ours" and the sergeant replied "It IS better than ours. Get back to work." and so I did, but I kept looking back at that first tank in the convoy. I was a young U.S. Army Private and I had just learned my first REAL lesson in German engineering. I will never forget that moment. Again, excellent briefing. 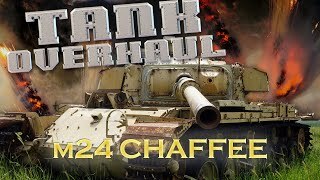 I just love that tank!